From the Silent Generation (1928-1945), to the Baby Boomers (1946-1964), to the Generation X (1965-1980) to the Millennials (1981 to 1997) – the question remains: Is creating Long-Term family wealth possible? The answer is yes. Although, it isn’t necessarily an easy task. Old legacy fortunes were created the “old fashioned way” through hard work and maintaining family traditions, lifestyle and customs. Without a formal education, many creators of legacy fortunes had only their innate intelligence and entrepreneurial spirit. The next generation was able to get an education. It maintained much of their parent’s values. The third has no memory of struggle, and possesses a distinct set of generation values, interests and vision than the first and second generations. It may lack the vision, skill and INTERESTS of the first two generations. This lack of shared experiences may lead to misunderstandings and miscommunication between generations, and according to studies, is a primary reason why wealth virtually disappears after the third generation. How to protect and preserve wealth? Different professional wealth managers provide different answers, strategies, products and advice to answer the questions. 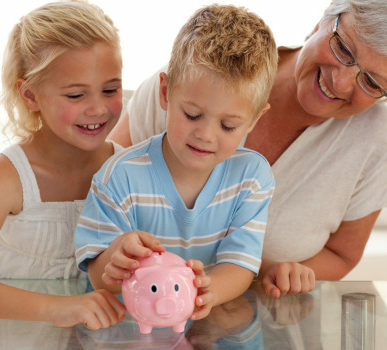 According to Investors News, “Sixty-six percent of children fire their parents’ financial advisors after they inherit their parents’ wealth”. The financial industry understands that the exit rate is high. It has been challenging for many advisors to connect with their clients’ children who may have different expectations, and expect a different client experience. This conflict between generations of wealth has translated into “70% of family money disappearing by the end of the second generation, and 90% is gone by the end of the third” according to Investors News. Establishing trusted generational relationships is a key to avoiding wealth dilution. The most sophisticated wealth management providers have learned this; which is why their customized solutions are developed with the concept of a multigenerational “team” approach for guiding generations through individual and estate tax planning, business succession planning, financial planning, asset protection planning, risk management and retirement planning. A well rounded team includes bankers, attorneys, investment advisors, pension actuaries, insurance experts and CPAs. A qualified CPA offers specialized tax services and highlights important tax efficiency matters to a wealth management team. CPAs often have multigenerational trusted client relationships. Moreover, CPAs have an ethical responsibility to act in the client’s best interest, and is often aware of nonfinancial issues. CPAs can play a large role in due-diligence processes, helping to meet complex retirement goals, spending, saving, estate planning, reducing or restructuring debt, and training the tech-enabled younger generation as well as other matters. Finally, the best way to avoid the “shirtsleeves to shirtsleeves” syndrome is to have multigenerational goals and intergenerational planning. Don’t be a victim of your own making. The discussion of wealth transfer is a healthy one to have with your family, and your Personal Service Providers in order to create Long-Term family wealth.